This thread is intended to be a living document that covers all aspects of the Astra VXR model, the aim is to provide a centralised store of information on the cars in an easy to find place. If you've got a question reply to this thread and the answer can be added into the relevant section of the thread. If you have any info that you think should be included here, post away and it will be added. Sections are coming as fast as I can type! Last edited by Crafty; 11th October 2007 at 09:00 PM. 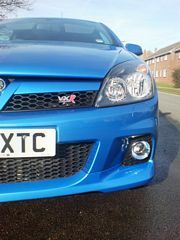 There have been a few model changes during the life of the VXR so far.. 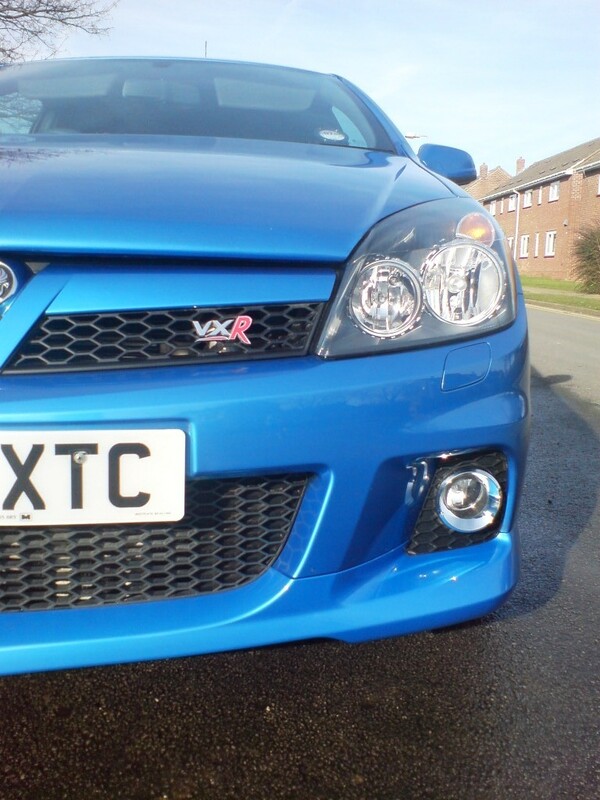 Some 06 cars also had VXR emblem badges added to the doors, this was a short lived change and the badges were removed. This switch is on the centre console, its main purpose is to give the driver more response when driving on open roads. When activated the response of the throttle pedal is increased, so it doesn't need to be pressed as hard to accelerate. The steering response is also improved, so the wheel can moved less to effect the same rate of turn. From factory the sport button does not unleash any more power, however some remaps (see tuning section) do this. Last edited by Crafty; 11th October 2007 at 10:14 PM. Last edited by vauxmad; 11th October 2007 at 09:18 PM. There are/have been a variety of options available on the astras. AFL stands for Adaptive Forward Lighting. What this means is tha the headlights can move left to right, the idea is when driving at night the light will be directed around the corner, allowing the driver to see the exit of the corner. 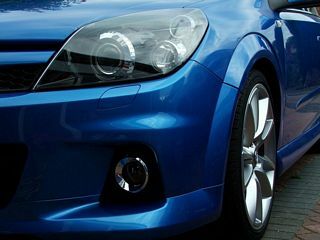 Opting for AFL is the only way to get Xenon lights on a VXR from factory, Xenons are not available without AFL and AFL is not available without Xenons. Stands for Interactive Damping System. Basically when the sport button is pressed the shocks become harder, the idea is to give a firmer ride and to reduce bodyroll. Its quite a rare option as it is reported that the IDS is not set up for english roads and the stock suspension (passive) is better suited for our roads. At this time I'm unable to comment as I've not driven an IDS car. Note that if at any point in the future you wish to upgrade the suspension to coilover shocks the IDS option would be removed from the car. All Astra VXRs get air conditioning, but this will simply blow cold/warm air according to the settings you set. 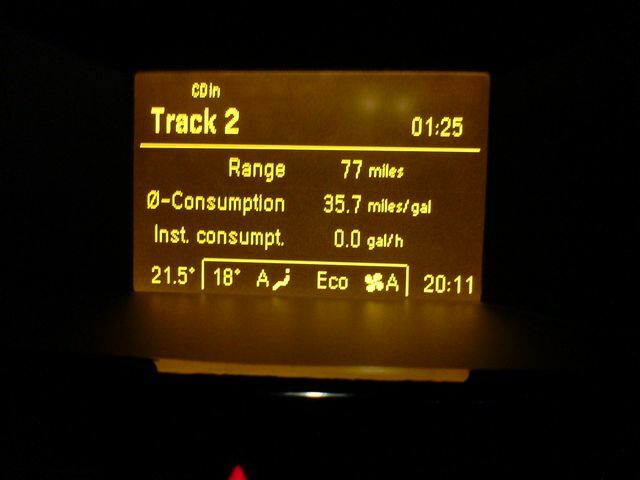 With climate control you can ask the car to stay say a given temperature (say 20 degrees). As an added bonus the option also adds a better screen in the centre of the dash. There are/have been 4 radios fitted to the astras. The standard equipment for pre 06 reg cars. Single slot CD player and FM/AM radio. The replacement for the above, now able to read MP3 CDs and display the track name on the centre screen. Option, 6 CD changer (all in dash, no seperate cd changer). Does read MP3 CDs. Was available up until 07 reg and has made a re-appearance on 5 reg cars on. This is the Sat Nav option. Stays as a single CD player and also adds a colour centre console screen. Not much to say really, do what they say on the tin. The system appears to work very well and is something to consider given the cars' rear visibility. A relatively uncommon option, besides the leather the option also adds leg extenders on the front seats and 3 stage heaters in the front seats. A inexpensive option, this adds rain sensitive wipers and automatic lighting (i.e. if it begins to rain when driving the wipers are turned on and if driving whilst darkness falls the lights are switched on automatically). All cars have electrically operated mirrors, this option adds the facility to press a button inside the car to have the mirrors fold in against the front window. Doesn't really need any explanation, many owners have fitted this after buying their car. Last edited by Crafty; 12th October 2007 at 08:52 PM. Tuning is often an emotive issue, eveyone has an opinion on which tuner gives the best service or has the best product. The best thing to do if you are considering modifications is to do your research (there is *alot* of information on this site) and find which products and tuners best suit your needs. Who are the main tuners ? 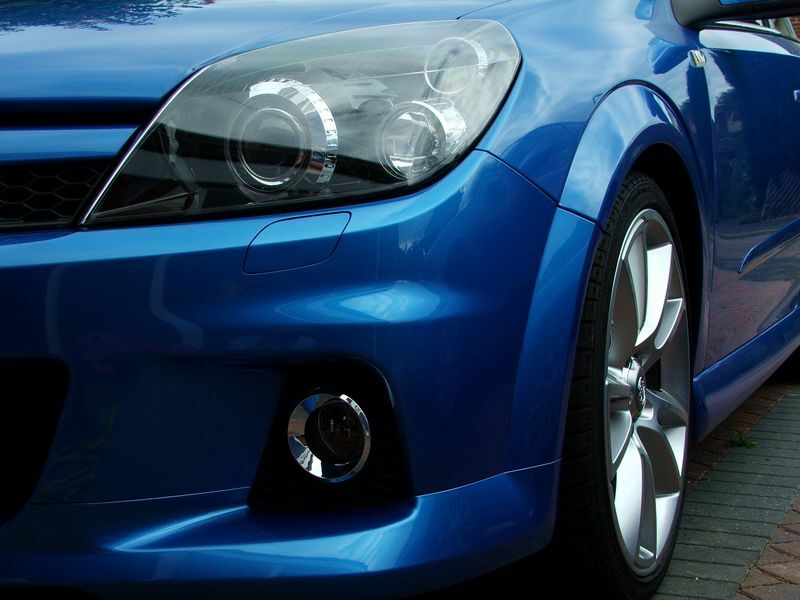 Courtenay and Regal are long time Vauxhall tuners who are both well established in the market. DAP are relatively new but Dave (the owner) has a long history in motorsport for Triple 8 (who currently run the vauxhall BTCC cars) and other motorsport companies. Dave is hoping to campaign a Vectra VXR in the 2008 Dunlop Sport Max Cup championship. Thorney are again relatively new but have quickly become well established in the market. Aside from tuning road vehicles Thorney also prepare race cars and run their own race VX220s. VX Performance Centre is an offshoot of the Triple 8 BTCC team. CD40MP3 made an apperance in some cars. I believe this was limited to some 06 reg cars only and know of at least 2 that did have this radio instead of the normal CD40. Only difference was the ability to read MP3 disks but otherwise identical to CD40. 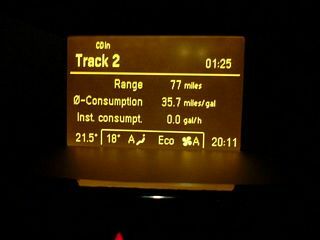 Also the GID screen on the cars equiped with the CD40 was different to the one with just the climate control. I will dig out a picture for you later today. Last edited by BasilD; 12th October 2007 at 11:24 AM. Dont think so guy.....Bmw have done this i think but not on any Vauxhall! 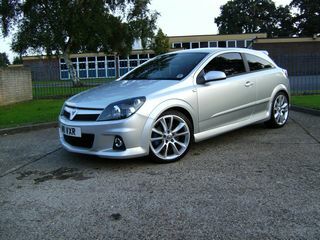 What isnt on any vauxhall ? Most tuners market their engine modifications in "Stages". Stage Four upgrades are currently in development, so details are not yet available, but its clear that it involves a replacement turbo (probably a garrett) and manifold. Note that the remap for the stages are not the same as they take in to account the other modifications! VXPC, Regal and DAP use maps from a company called EDS in Germany. You will find much written here and elsewhere comparing maps and giving opinion on the "best" one. In all truth the maps are probably as good as each other and can be adapted to suit your requirements by the tuner. The best advice is to decide what you want from a remap and ask your tuner to tailor it to your driving style. Bluefin and iPF are handheld units that allow you to remap your car with files supplied by the tuner. 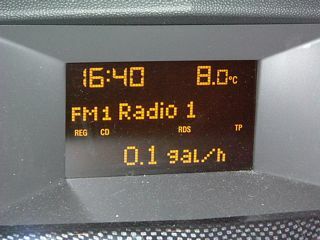 The unit connects via USB to your PC so you can download maps, the unit is then disconnected from the PC and connected to the car, the map can then be uploaded to the car ECU from the handheld unit. The benefit of these units is that you can remap your car on your driveway, you do not need to visit a tuner to get the remap. They also allow you to change the map in the car as and when it suits you. It is possible to reinstall the original factory map into the car should you wish (if the car is going for servicing etc). The handhelds also have other functions, such as reading DTC codes (error codes) from the engine ecu. Bluefin has been developed by Superchips and Thorney. iPF (intelligent flash programmer) has been developed by EDS, currently only available from Regal. The most popular exhaust systems for the astra are Miltek, Remus and Magnex. Again much has been written about x is better than y, however they are all quality items. Both the miltek and remus are available from Vauxhall main dealers (Miltek part no: remus part no: ), both are turbo back systems. Both have a lifetime warranty. Early Miltek downpipes had a design fault, resulting in some splitting. Naturally these downpipes are replaced under warranty, furthermore the design has been changed and so far no new style downpipes have split. The miltek is available in two styles - the first (original) system has a front silencer box, the second has a straight through pipe to replace this silencer box. The magnex is only a cat back system, so you need to source a cat and downpipe if you want to use this system, some tuners can supply these components and the magnex to make a full system. Eibach springs come highly reccomended as a quick upgrade to lower the car and improve the handling. If you want to go one step further there are coilover cnversions available from Eibach and KW. DAP have just released details about a new coilover setup from AST. The astra has no rear anti roll bar from Factory, but VXPC have develpoed one that is available from most tuners. The two popular brake upgrade options are from AP Racing, this replaces the front discs and calipers with 343mm discs and 4 pot calipers. Alcon also do a similar set up. Alcon kits are available from Regal and DAP. If the budget doesn't quite stretch to that Courtenay also offer standard size grooved discs for front and rear. Courtenay also offer a set of cooling ducts for the front brakes, these attached to the lower suspension arm and direct cool air to the brakes, this is an inexpensive mod that appears to be quite worthwhile.